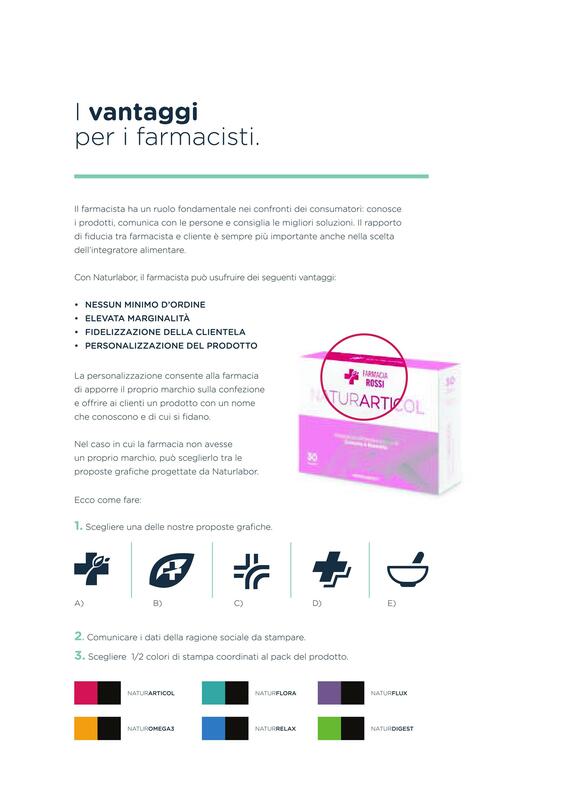 Naturlabor is the division dedicated to the production of food supplements based on specific wellness needs: from the cardiovascular functionality to the articular one, from intestinal regularity to relaxation. Naturlabor supplements derive from high-quality raw materials, in full accordance with GMP standards (Good Manufacturing Practices), to ensure product safety and full traceability throughout the supply chain. Technicians and experts in nutrition study, test and develop formulations in the field of food supplements contributing to the general wellness. What do you need? Discover all our food supplements.